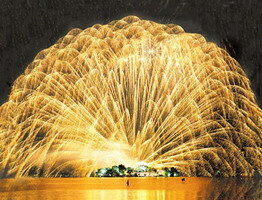 West Lake is an extremely popular tourism destination in east China's Zhejiang province. But while most of scenic spots in the country are raising their ticket prices, West Lake is bucking the trend, offering free entry to major spots. That's in spite of the big revenues generated over the last decade. Surrounded by mountains, West Lake lies peacefully in the heart of Hangzhou city. Its picturesque landscape attracts visitors from China and beyond. A tourist said, "Of all the places I've seen in China, this is the most beautiful. This is the first time I've come here. And it is what I most considered to be typical China." Walking along this Chinese-style bridge, you can really immerse yourself in the flavor of the culture south of the Yangtze River. Over 130 sightseeing spots including museums and memorial halls are free to public, drawing more than 30 million visitors every year. A tour guide said, "Actually we're very afraid to lead groups on May Day holiday because it brings the biggest crowds. But West Lake is so famous that many people don't want to miss it." In West Lake, the free ticket scheme combined with greater service options is convincing visitors to prolong their stays inside the park. They can take leisurely walks, bike around the lake, or even take a short cruise. Nina Wu, Hangzhou, Zhejiang province, said, "This is one of the ten famous scenic sites of West Lake. These three stone pagodas were built over 800 years ago. They form the centerpiece of the scenic spot known as: "Three Pools Mirroring the Moon". 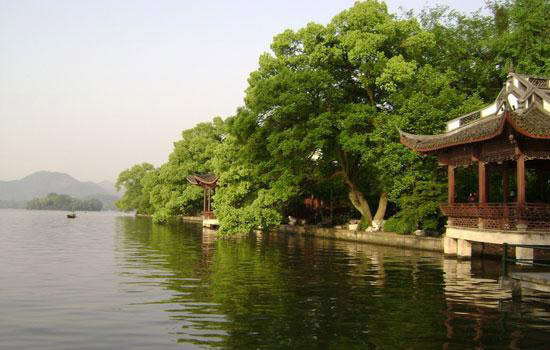 By taking a boat on the water, visitors can admire the beauty of West Lake." West Lake is the only World Heritage site in China offering free entry. The city officials replaced ticket charges with a host of entertainment options. The plan has actually caused profits to soar. Liu Ying, Director of West Lake Administration Committee, said, "Every year we reduce ticket revenue by 40-50 million RMB for West Lake visitors. But commercial services and facilities have been expanded since free admission launched ten years ago. It brings a lot of publicity to the open park." With free entry and no price increases, West Lake has showcased a great way for China's scenic spots to generate revenue through a more open prospective. Bus driver honored as "revolutionary martyr"